I love silhouettes! I see them all the time in art, home decor, and craft projects. 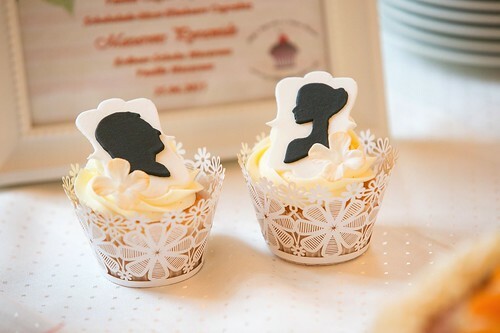 These silhouette cupcakes by Julie Baerwald are a great wedding party favor. Check out these silhouette place cards on Brit & Co and his and her silhouette pillows.